Northstarr, a start up tech recruitment firm, was created by the founder of Harrington Starr, an established fintech recruiter. 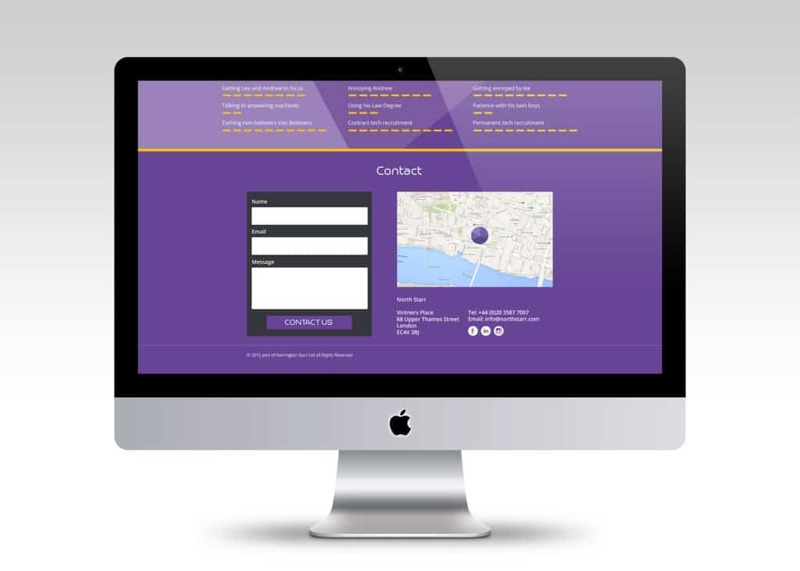 In the early stages, we were asked to create a rudimentary site, with BullHorn application interface, with a view to add additional functionality as the business expanded. With a cautious budget and limited time frame for the stealth launch, the team created a digitally modern typographic identity with graphical mark signifying the 5-point star used by the founding company. During an abbreviated positioning session, end lines were crafted and matched along with colour palette and playful tech characters to help bring a little warmth to the resulting one page responsive start up site.